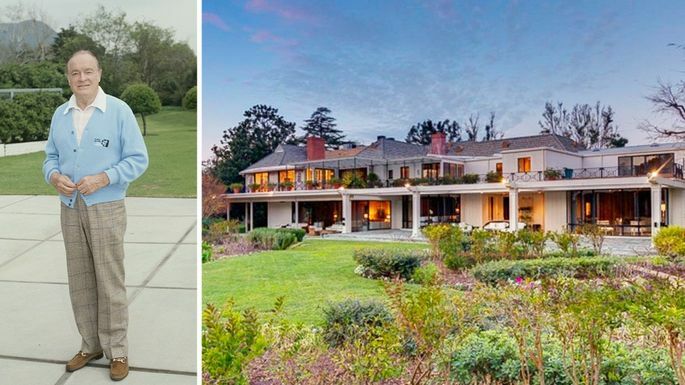 The Toluca Lake estate of Bob and Dolores Hope, first listed in 2013 at $27.5 million, has sold to billionaire Ron Burkle for $15 million. Sitting on 5.2 acres the compound features a 5 bedroom main house of 15,000 square feet, a two bedroom guesthouse, indoor and outdoor pools and a three hole golf course. Proceeds from the sale will go to the Bob & Dolores Hope Foundation. Ah Bob….Thanks for the Memories!